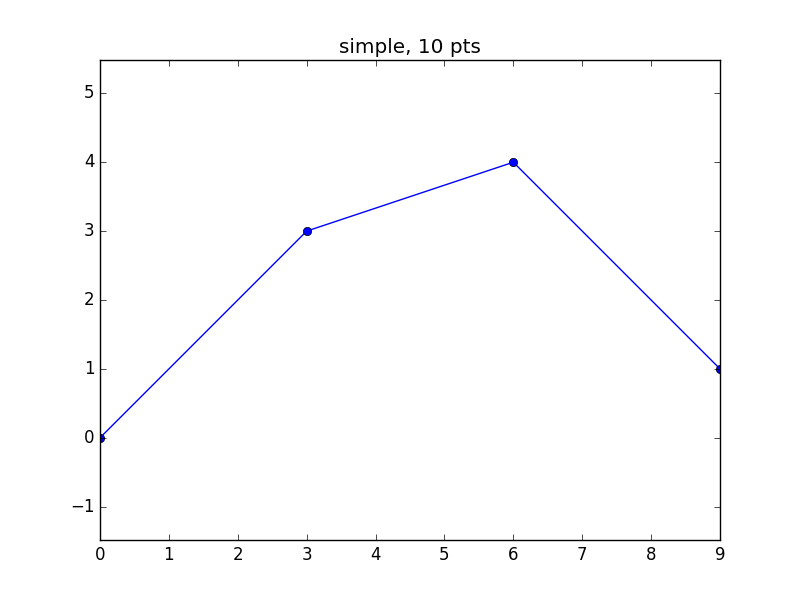 In this TP, you'll implement the De Casteljau’s algorithm, and you'll use it to compute and visualise the curves in the data folder. Start by cloning the repo and testing the code for the TP1. You should see something like the following figure. To test with different datasets and sampling densities, you can pass the arguments directly in the command line. The code in tp1.py contains three helper functions plus the main part. ReadPolygon : reads Bézier curve control polygon from a file. The result is returned as a 2-column matrix. DeCasteljau : returns the point b_i^k from De Casteljau algorithm. BezierCurve : uniform evaluation of the Bézier curve. main part : controls the computation and plots results. 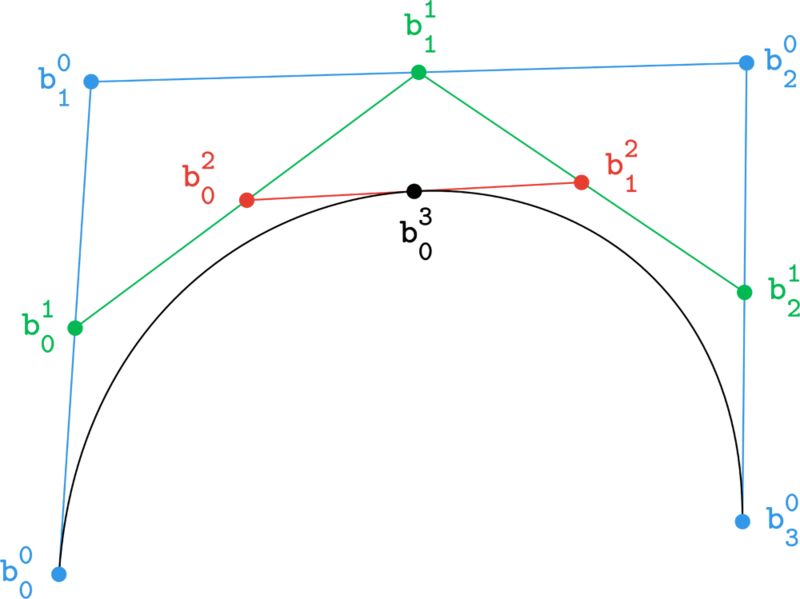 Implement the De Casteljau algorithm (DeCasteljau) and use it to evaluate the provided Bézier curves (BezierCurve). Visualise the curves together with their control polygons. Pick one dataset and visualise all intermediate polygons b_i^k from the De Casteljau algorithm for a fixed parameter, for instance t=0.5. Hint: each column in the schema represents one such polygon.